For an in depth look at what personalized learning is and why it matters, imagine the choice between learning at your own pace and choosing curriculum that interests you or taking courses that are required of you. Which would you prefer and which choice do you think results in the most student success? This article is part one of three. Personalized learning dramatically accelerates the progress and grades of our stu­dents. In fact, we are one of only 10 winners who received a $10 million grant from XQ to continue our work creating the high school of the future. All future-oriented educators should be immersing themselves in personalized learning. It has genuinely transformed learning in the Vista Unified School District. Building on student strengths, leveraging powerful digital tools, providing for student choice, transforming learning environments, and shifting to competency-based models are all components of personalized learning that improves student engagement and empowers our kids to become drivers for life-long learning and achievement. We are grateful that Smarter Squared includes the information for students to empower themselves and advocate for the use of Personalized Learning to maximize their potential for a lifetime. related to the real world outside your classroom? learning and still meet your school’s requirements? apply these preferences as you learn? • Do you wish you could learn at your own pace? If you answered yes to at least two of these questions, then you definitely want your learning to be more personal! That is why it is important to know what personalized learning is and why it matters. You want to use personalized learning because it gives you more ownership of and responsibility for your education and it incorporates all the benefits listed within the questions above. Want to find out more? This article is in three parts. Personalized learning is learner-driven education that is custom-tailored to your interests, your strengths and your passions. It allows you to “own” your education. You have more choice and responsibility for your learning and you set learning targets that are directly connected to the future you want in the workplace or as an entrepreneur. The education model you may be most familiar with isgenerally known as a one-size-fits all environment where the teacher delivers information to all students at the same time and in the same way. However, personalized learning transforms your learning into a relevant, empowering, and ongoing journey. In short, it helps you become a life-long learner, learn how to make a difference and leave a legacy. Jobs and technology are changing so rapidly that you need knowledge and skills that prepare you for both a certain future and one that is less certain. That is what makes personalized learning so valuable and all-encompassing – it is student/learner-driven and as flexible and adaptable as you’d like it to be. As you learn, you can quickly and easily map out your dream destination (your future) and determine whether you are developing the skills you need for that future. 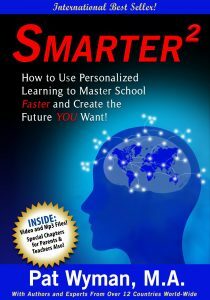 Why Am I Just Now Hearing About Personalized Learning? And that’s what you are witnessing—and being a part of—the spread of personalized learning! Personalized learning isn’t recent and it isn’t a passing fad. Learner Profile and detailed Plan with instant feedback on progress, was not available until the past few years or so. Now educators all over the world understand that the traditional model of education—the “one-size-fits-all” model—simply does not adequately prepare you for your future. They are working hard and revitalizing education to make learning more relevant, more engaging, and more aligned with their students’ future. They no longer see themselves as “depositors of facts” but as mentors and facilitators for their students. And now you, too, are part of this wave of change! You know what personalized learning is and why it matters.